Claremont, Calif. (August 21, 2017)—Juan Downey: Radiant Nature, a new joint exhibition by Pitzer College Art Galleries and Los Angeles Contemporary Exhibitions (LACE), brings to life interactive works by the Chilean-born artist Juan Downey (1940–93) that haven’t been witnessed for generations. Drawing on groundbreaking research, Radiant Nature features recreations of Downey’s electronic sculptures and installations from the late ’60s and documentation of his early, innovative performance pieces. Part of the Getty-led Pacific Standard Time: LA/LA initiative, this two-part exhibition opens at Pitzer College in Claremont, CA, on September 9, and at LACE in Los Angeles on September 13, and runs through early December 2017. “Juan Downey is known primarily for his pioneering video work; Radiant Nature instead highlights his early experiments with cybernetics and interactivity as played out in these three early bodies of work—electronic sculptures, happenings and performance, and progressive environmental installations.” said co-curators Ciara Ennis, director of Pitzer College Art Galleries, and Robert Crouch, executive and artistic director of Pasadena Arts Council. Downey’s interactive art responds to the viewer or performers, whether human or non-human. At Pitzer, the Life Cycle: Electric Light + Water + Soil —> Flowers —> Bees—>Honey environmental installation, will video record more than 20,000 live bees housed in a portion of the gallery while a monitor simultaneously plays back footage of the bees at work. Converted from Portapak videos, LACE’s documentation of the performance piece Three Way Communication by Light shows performers filming and projecting images of their own faces onto each other. These works were intended to be played with, turning passive onlookers into active participants, said Ennis and Crouch. “Downey was especially interested in the potential of technology to facilitate viewer participation, transform social relations and forge new modes of communication between organic elements or environments and machines or machine systems,” they write in the show’s introduction. Born in Chile in 1940, Downey eventually settled in New York City, where he developed a practice that included sculpture, performance, installation and video. In the ’70s, he became known for his multi-channel video works such as Video Trans Americas (1973–76) and The Thinking Eye (1974–89), which critique Eurocentric views of Latin American identity. With support from the Getty Foundation, Ennis and Crouch spent three years researching his earlier, often ephemeral works that pre-date Video Trans Americas. In conjunction with the exhibition, a symposium exploring the relationship between cybernetics and aesthetics will illuminate how Downey’s progressive ideas played out in his electronic sculptures, performances and installations while reflecting on their continued resonance to contemporary practice. Pitzer College Art Galleries and LACE join more than 70 cultural institutions taking part in the Getty’s Pacific Standard Time: LA/LA, a far-reaching and ambitious exploration of Latin American and Latino art in dialogue with Los Angeles. The Getty Foundation awarded more than $16 million in Pacific Standard Time grants to arts institutions of all sizes and types throughout Southern California. At the Claremont Colleges, Pitzer College Art Galleries, the Pomona College Museum of Art and the Ruth Chandler Williamson Gallery at Scripps College are mounting PST: LA/LA exhibits. 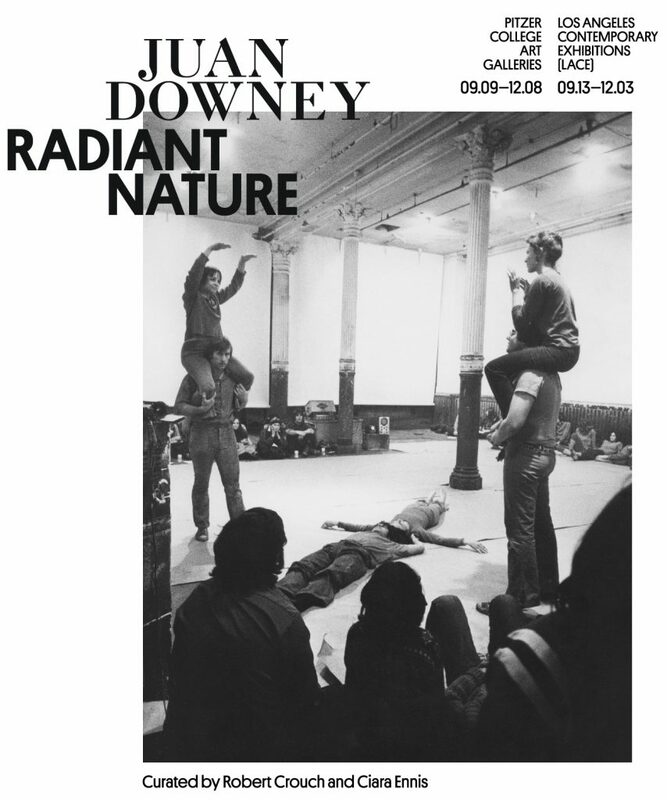 Major support for Juan Downey: Radiant Nature is provided through grants from the Getty Foundation. In-kind support is provided by Human Resources of Los Angeles. Saturday, September 9, 3–5 p.m.
Wednesday, September 13, 7-10 p.m.
Wednesday, November 1, 7–9 p.m.
Pitzer College Art Galleries mounts visually arresting and memorable exhibitions that promote the value and understanding of contemporary art within a local, national and international context. Through curatorial creativity and visionary programming, Pitzer College Art Galleries provides context, support and a critical framework for artists and curators. The galleries are part of Pitzer College, a nationally top-ranked undergraduate liberal arts and sciences institution. LACE both champions and challenges the art of our time by fostering artists who innovate, explore and risk. The nonprofit moves within and beyond its four walls to provide opportunities for diverse publics to engage deeply with contemporary art. In doing so, LACE furthers dialogue and participation between and among artists and those audiences.